Introduction London is the world capital of the arts, culture, entertainment, fashion and more, forged by centuries of being in the centre of global history. The city is also a financial capital of the world and is a confluence of many global industries. In this birthplace of innovation and organization, you can take part in KnowledgeHut?s Scaled Agile Framework Training in London. About the Course The Scaled Agile Framework certification in London by KnowledgeHut teaches participants about the Scaled Agile Framework (SAFe 4.5), a methodology necessary when projects and enterprises shift into an Agile framework. 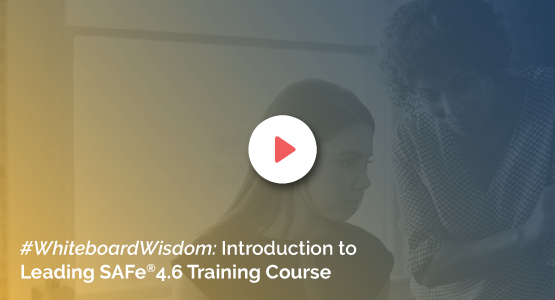 During this online workshop, our course instructors will help participants understand the importance of the Certified SAFe 4.5 Agilist role, responsible for moving a team into a Lean-Agile environment. The Scaled Agile Framework training in London is an e-learning program that explores the different facets of SAFe 4.5 and helps participants be primed for the SAFe 4.5 certification which is awarded only after the exam is successfully completed. A two day training program, the Scaled Agile Framework certification in London begins with introductions to the Scaled Agile Framework. Participants will be taught the fundamental Lean and Agile values and they will then learn about the SAFe 4.5 principles. As the online classes progress, there will be important lessons on implementing Agile Release Trains and PI Planning procedures and the second half of the program will include lessons on executing and releasing value. During this course, participants will also be taught about building an Agile portfolio. As the training draws to a close, our expert tutors will conduct a session on how to lead a Lean-Agile Enterprise. The KnowledgeHut Advantage The Leading SAFe 4.5 certification training in London comes with many takeaways, which include proficiency in tracking Agile implementation in enterprises and projects, identifying relevant roles and structures for Agile implementation and measuring the progress of scaled Agile. Along with these, course students will also learn how to promote the use of SAFe 4.5. This workshop will give you exclusive access to course material authored by the Scaled Academy including reference notes that can be downloaded. The price of the Leading SAFe 4.5 online course includes the SAFe 4.5 exam fee and course benefits also include a one year membership with Scaled Agile. If you are a QA/development /program manager, executive, change agent (coach) or someone involved in a SAFe 4.5 rollout, then this interactive classroom training is a perfect choice.